A pool barrier will delay the time it takes a child to get into your pool, and may help prevent drowning. Each city or state has its own pool fence laws that spell out standards, such as minimum fence height, spacing, gate specifications, and more. In some communities, you may not be able to get an insurance policy without a gate. The general standard is that fences must be a minimum of 4 feet high (5 feet is ideal), but check with your local zoning or building authority for the specific laws in your area. Pool covers can also prevent accidents, and should be used year round. 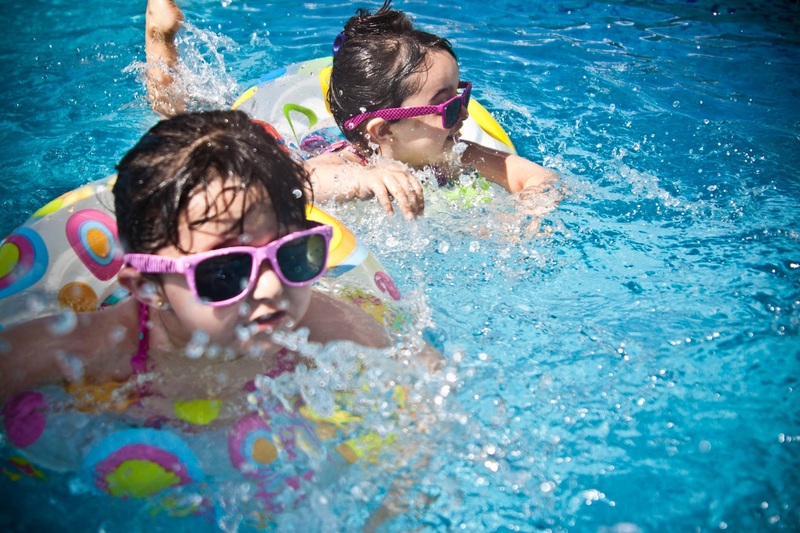 A pool alarm will notify you when anything that moves enters the vicinity. Some pool alarms are placed inside the pool and detect wave activity—up to 15 pounds of water displacement—and will emit a loud sound if motion is detected. Bella also recommends the Safety Turtle wireless alarm system for kids. When they're playing outdoors, they wear wristbands outfitted with a sensor; if the sensor gets wet, an alarm will sound. A pool inspector who is credentialed by the National Swimming Pool Foundation or the Association of Pool and Spa Professionals should be able to tell you if the pool itself or the surrounding deck material is cracked, damaged, or dangerous. You also can try finding a code official by contacting your local building or health department. * Gates need to be self-closing and should latch to lock. * Fences need to be at least 4 feet high and enclose the entire pool. * The main drain or bottom suction outlettypically located in the center of the poolcan be a drowning hazard if the cover is not properly secured. * With any water features like slides or diving boards, youll want to follow the manufacturers safety guidelines. * If part of your enclosed barrier includes one wall of your home, the windows on that side of the house may not open more than 4 inches. All pool chemicals need to be stored out of reach in a secure, well-ventilated area, and away from AC or heating units. Paint, gasoline, and other chemicals also need to be stored separately. When you’re putting chemicals in the water, be sure to wear gloves and safety goggles. Label each bottle with the date you purchased it, and toss out chemicals older than a year old. When the pool is not being used, any toys should be out of the water and stored away out of sight, so children won’t be tempted to dive in. It's a good idea to give life jackets to the kids playing in or around the pool. Other safety equipment to keep near your pool are a crook rescue hook and the traditional ring buoy.